Yank Sing is known for serving SF’s best (and priciest) dim sum, but the wealth apparently wasn’t trickling down to its employees, who confronted the restaurant last year with a number of labor violations. As the Los Angeles Times reports, a number of the restaurant’s employees (which number 90 full-timers and 60 part-timers across the Rincon Center and Stevenson Street locations) teamed up with the Chinese Progressive Association and the Asian Law Caucus to petition the restaurant’s owners, Henry and Judy Chan over issues ranging from failure to pay the minimum wage to denying workers meal and rest breaks to managers swiping employees’ tips. Many of the workers were Chinese immigrants who spoke little to no English, and were thus largely unable to advocate for themselves. After the whistle was blown, the Chans acted decisively to bring the restaurant up to the letter of the law, increasing salaries and providing paid vacation and health benefits for the entire staff. 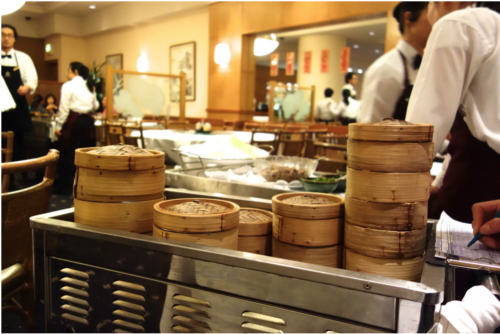 (A rep for Yank Sing blamed “poor record keeping” for much of the restaurant’s bad behavior.) And they’re also making restitution for their past mistakes, coughing up a whopping $4 million in back wages for more than 280 current and former employees. Still, this case is sadly indicative of the state of play in many of San Francisco’s Asian restaurants, where workers often fail to pipe up due to immigration difficulties, language barriers, and fear of losing their jobs. Many “believe that it’s cheaper to break the law because the chances of getting caught are slim, and the costs of getting caught are minimal,” California labor commissioner Julie Su told the Times. But to Yank Sing’s credit, they didn’t fight doing the right thing: “The employer didn’t launch a legal attack on us and didn’t try to fire workers. They were responsive, they came to the table and did not pull dirty aggressive tricks we often see employers do,” said a rep for the Chinese Progressive Association. You can continue to enjoy your sesame balls without guilt.